Do Trees Increase The Market Value Of A Property? 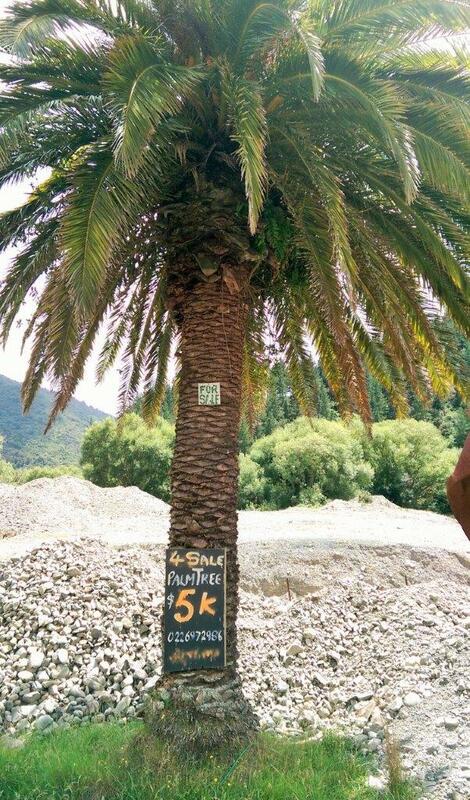 Recently, Louise, the kids and I were driving back to Nelson after a morning playing in the rock pools at Cable Bay, when we saw a Phoenix palm tree perched on the side of the road. Is it possible to put a dollar value on trees? And, do trees impact the market value of a property? If so, how? Here’s a story I heard from a lecturer during my arborist studies, which helps to answer these questions. A little old lady with three mature trees in her front garden decided to sell her property. She invited both a real estate agent and a registered valuer to view the home. The valuer said he would get back in touch with a dollar value. Meanwhile, the real estate agent said she should have the trees removed, to let more light in. So she did. In short, the trees actually added value to her property, so cutting them down was a big mistake. This story makes perfect sense. For example, what may be one owner’s prized Oak tree may in fact be a nightmare for his or her neighbours, blocking sunlight or dropping leaves into their pool. For one person, the tree is a treasure and should be preserved. For others, the tree is a nuisance and should be cut down. How can you calculate the value of your trees? Ask a qualified and experienced arborist for their expert opinion. They will let you know if the tree contributes to the value of your property and will give you advice/tips on how to preserve and maintain it. An arborist may also calculate a value by using STEM (Standard Tree Evaluation Method) or other techniques, but ultimately, a tree’s value on paper may vary in so many ways – you could say the beauty and value is in the eyes of the beholder. If you have questions about the value of your trees, or are considering cutting a tree down due to complaints from neighbours, give us a call. We provide obligation free quotes, tips and advice. Food for thought, definitely! I would not like to live in a house or an area where there were no trees. Good question.